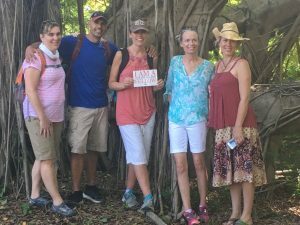 The motto of Edward W. Morley Elementary School in West Hartford, CT, is “Character Builds Community.” Principal Ryan Cleary and the school’s staff sought a meaningful way to put that motto into action and decided to focus special attention on the country and people of Haiti. In collaboration with the nearby Crosby Fund for Haitian Education, students exchanged artwork with the L’Ecole Papillion primary school in Deschapelles, Haiti, an exchange that culminated in a community-wide art auction to perpetuate the international relationship. 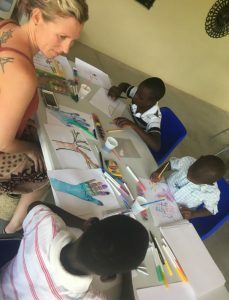 Further, students and parents raised money (teacher Kimberly Ashworth taught students how to knit hats, which they sold) to sponsor four Haitian students’ tuition for one year. 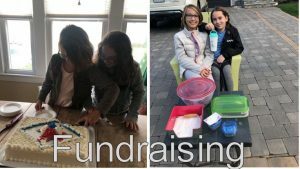 Inspired by students’ sustained interest in the project and their new peers, a cross-curricular team of teachers designed a Fund for Teachers fellowship to visit L’Ecole Papillion, learn more about the needs there and strengthen collaborative learning opportunities. Kimberly, FFT team member Dave Aparo, and a student sponsored by Morley Elementary. FFT Team from Morley Elementary in Deschapelles. 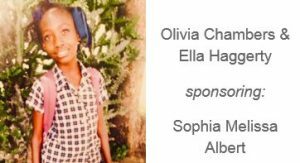 Olivia: Since the middle of last year, we’ve been raising money for Haitian kids to go to school. We never thought that donating money to a charity would lead to writing, rehearsing and performing a speech. We would like to thank our families for supporting us and overall just being wonderful about our bumps, needs, and even our wants. Now you’re all probably wondering, why are two 10-year old’s here speaking tonight? Ella: Thank you, Olivia. Our story started last year when we were in 4th grade. We had something called academic choice time where we could do anything that involved self-driven learning for an hour on Friday afternoons. We knew we wanted to do something together, so we narrowed it down to something to do with making a donation, but which one? 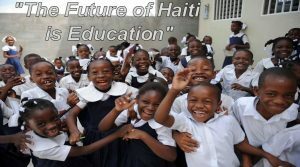 After some thought, we decided to work towards a way to donate money to Haitian girls and boys to go to school and to purchase supplies. Make up application and mani/pedis were a few of Spa Haiti’s services. There are a couple of reasons why we chose this path. Last New Year, I made a resolution. I told myself I would make a difference. At our school in West Hartford, we have a sister school in Haiti. We’re helping to raise money for the children there. Olivia had a big role, she’s our treasurer, so she keeps all the money safe. Olivia and I decided we would save our own birthday money, tooth fairy money and pennies from our penny collection. We also raised money through bake sales, car washes and even by offering spa services at our own spa. We saved money all through the school year. By June, we had saved $200 to provide a Haitian child a 1-year scholarship. 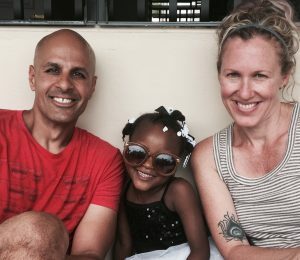 Morley teachers who traveled to Haiti this past summer were able to meet 10-year-old Sophia Melissa Albert. She was the girl who received a scholarship with the money we raised. We were especially glad to hear that she was chosen because we found out she no longer has her own parents. 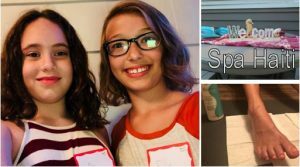 Over this past summer we continued our effort and raised an additional $375 by hosting a fundraising event to provide a 2nd scholarship and to buy school supplies. Olivia: Getting invited to this event touched our hearts and made us proud, excited, nervous, and now we feel like global citizens, as we know you all are too. What we want to come out of this is not fame, or to put it on a college application. We want to change the world for the better. We want this to go national and have people donate and help us make a difference. And, we want the 2 kids that we are sponsoring to complete primary school and go on to high school and college. We hope they get a job and send their kids to school (if they have kids) –– and to create a snowball effect of goodness. We would also like to acknowledge our 4th grade teacher for all she did to inspire us. She will always be our favorite teacher. Thank you, Kimberly Ashworth! Thank you also to Mr. Cleary, our Principal, for encouraging Morley students to do self-driven learning. Also, we are grateful that the Fund for Teachers helps educators to go on their own self-driven experiences and that the Dalio Foundation provides the funding for them to go. To watch news coverage on Ella and Olivia, click here.